Flashing neon lights, palate-enticing cuisine and some of the finest cosmetics in the world – book a trip to Seoul and you’ll get to experience it all. The South Korean capital in known around the globe for its fast pace of life and the “work hard, party hard” attitude. With this in mind, there is no doubt that your holidays in Seoul will be ripe with adventures of all kinds. 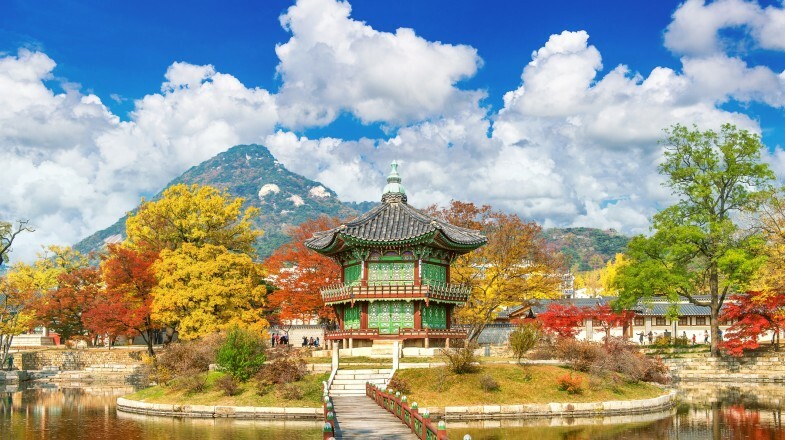 Gyeongbokgung Palace is the most important historical site of the city, located in downtown Seoul. The best time to visit it is during the change of guards. A shoppers dream come true, the Myeong-dong area is where you’ll have a chance to hear the latest K-pop tunes, purchase the hottest skin care products and snack on tasty Korean street food. Bukchon Hanok Village, a quaint, hilly area in Samcheon-dong, is home to hundreds of picturesque hanoks, traditional Korean houses. Hongdae, the vibrant area concentrated around Hongik University, is jam-packed with bustling coffee shops, chic bars and exquisite, yet affordable eateries. Namsan Tower, the symbol of Seoul, overlooks the city from a mountain nestled in its central part. This spot is also a couples’ favorite, which makes it ideal for a romantic stroll. Seoul is an enormous city, but its extensive subway system makes it easy to get from point A to point B. To avoid the hassle of always buying single journeys, make sure to get the T-money card (sold in every convenience store), which you can use in all public transport, as well as taxis. Korea is known for flavorful, belly-warming cuisine. While in Seoul, make sure to try the Korean barbeque, bibimbap (rice bowl topped with various meats, vegetables and kimchi) and tteokbokki (rice cakes in spicy sauce). If you feel like you need to escape the sensory overload of urban Seoul, head to the Seoul Forest, when you can relax in nature, observe butterflies and even feed deer!